Gossip The Brand was founded on the belief that Emirati brands were unique enough to make an impact globally. 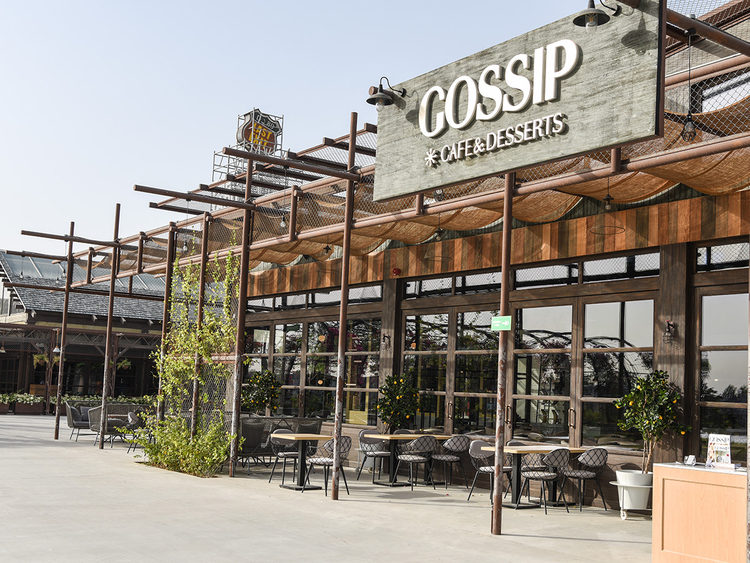 Founded in 2013 in the UAE, Gossip today is an umbrella organisation for products and services including niche boutique cafés as well as event and brand management. Gossip recently launched its first offering outside the UAE, in London in the UK. For Dr Shayma, however, growing the brand was no easy task. Starting the business with funds sourced from her personal savings, Dr Shayma also acknowledges the support and assistance she received from the Sharjah Entrepreneurship Foundation (Ruwad) as well as the Khalifa Fund in Abu Dhabi. A PhD holder in Genetics from the George Washington University in the US, as well as an EMBA holder from the London Business School, Dr Shayma was Director of International Investments at the Dubai International Financial Centre. However, she found her true calling in entrepreneurship, passionately pursuing and achieving the goal of setting up a niche brand that would reflect her pride in her Emirati roots. Gossip Café, her unique café offering is a reflection of her philosophy. For Dr Shayma, Gossip Café’s USP is its connection to the region, its innovation and its international appeal. “Combining Emirati culture with international food trends and concepts helps establish our signature and enrich our brand DNA,” she says. The brand currently has branches in Box Park and Khawaneej in Dubai, Galleria Mall in Abu Dhabi and Matajer Al Juraina in Sharjah. Pushing Emirati culture and traditions to the forefront anchors every initiative undertaken by Gossip The Brand. “Our objective was to create a brand that was shaped to go global, while communicating and showcasing Emirati culture, habits and experiential services.” Gossip is one of the few niche Emirati brands to enjoy an international presence, with the recent launch of the MlkCake by Gossip eatery in Covent Garden, London. Combining Emirati culture with international food trends and concepts helps establish our signature and enrich our brand DNA. Inspired by the visionary qualities of His Highness Shaikh Mohammad Bin Rashid Al Maktoum, Vice-President and Prime Minister of the UAE and Ruler of Dubai, Dr Shayma hopes entrepreneurial initiative will continue to thrive in the country.